Longtime readers will know of IntLawGrrls’ abiding interest in “Women at Nuremberg”; that is, women lawyers, women journalists, and other women who played seldom-remarked roles at the post-World War II war crimes trials at Nuremberg. Louisiana-area readers are advised to take advantage of an opportunity to learn about one such woman: “Bessie Margolin and the Nuremberg War Crimes Trials” will be presented from 12 noon-1 p.m. Wednesday, November 29, as a Lagniappe Lecture at the National WWII Museum, 945 Magazine Street, New Orleans. 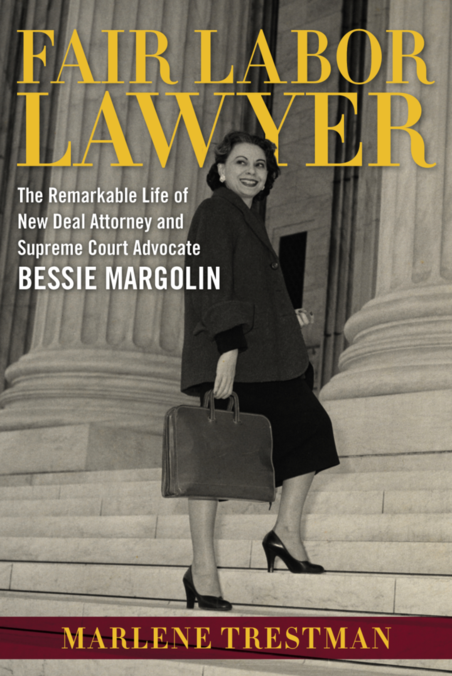 The speaker will be Marlene Trestman, lawyer and author of Fair Labor Lawyer: The Remarkable Life of New Deal Attorney and Supreme Court Advocate Bessie Margolin (2016), a superb biography of an extraordinary lawyer who helped shape the . The book succeeds Trestman’s 2012 journal article about Margolin, about which I wrote here. If you’re in the area, this lecture, to be followed by a book signing, is well worth attending. Details here.